It was a pretty important meeting actually. The 12 people who basically control America's money got together for the first time since Trump's inauguration. They seemed to agree that the US economy was doing alright. Businesses and consumers are feeling more confident, apparently, but they didn't actually make any big policy changes. They did indicate some changes are ahead, and what they decide at future meetings could affect your job, your lifestyle and your money, wherever in the world you may be. Pretty big task. Who actually are they, and why does it matter? Well, those bankers are the Federal Reserve's Federal Open Market Committee (FOMC). They decide what the US's policy will be and so control the money tap that fuels the banking system, which powers the economy. Basically they tell the US's central bank, the Federal Reserve (Fed), what to do. The Fed loans the money to local and regional banks so they can loan it to businesses and everyday people. If you go back to the idea of a money tap, the Fed regulates the flow (or money supply) to achieve a balanced, healthy economy. 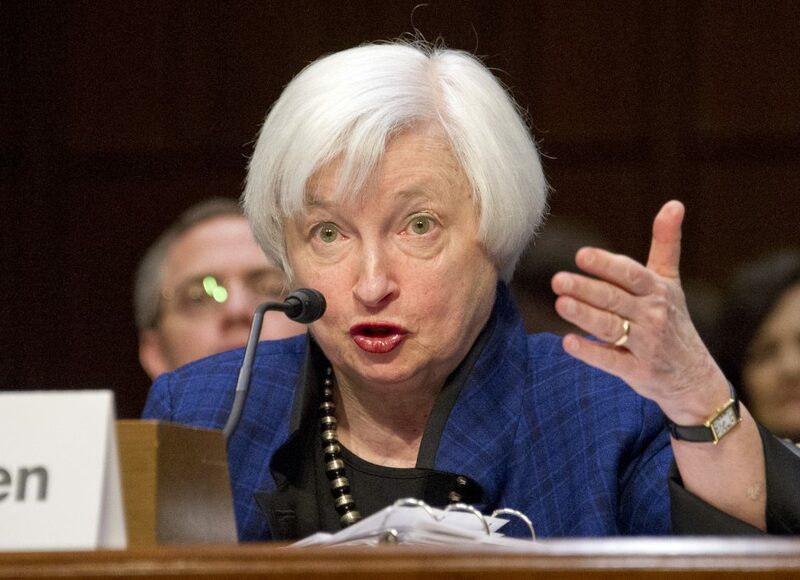 When the Fed thinks the economy needs a boost, it loosens the tap. It might lower interest rates on loans to banks, which would then make it cheaper for businesses and consumers to borrow. It could also reduce how much cash banks have to hold in reserve, which frees up money for lending. Finally, it could buy government bonds to put more money in circulation. , the Fed would do the opposite and tighten the tap. Which means raising interest rates. Really, the Fed walks a tightrope, tweaking the rules to keep the economy growing while trying to avoid too much inflation, which just makes everything more expensive for everyone. So how will Trump's policies affect these decisions? Donald Trump came into power on a wave of promises about stimulating the economy with jobs and investment in US businesses and infrastructure. in this meeting, but expecting the economy to get a bit of a boost when Trump became president, it did raise rates slightly in December 2016, said it will raise them three more times in 2017 and more again in 2018. So they are already tightening the tap and planning to tighten further. The way the Fed chooses to deal with the big tests the US economy is facing will affect everything from how much things cost consumers, to buying a home. Watch this space.